Our fourth course on ethics considers the influence of unseen dimensions. Psychotherapists generally strive to provide the best care while minimizing liability. Staying current with legal and ethical updates is crucial, as is self-knowledge about any personal issues that could lead to professional blind spots. Effective risk management requires mature judgment and attention to detail. Laws, social expectations, standards of care, personal values, and unconscious elements all enter into applied ethics. This course includes consideration of the unseen dimensions. Phantom issues can be unmanaged stress, unacknowledged counter-transference, or life-stage transition struggles. The course format is storytelling with discussion. 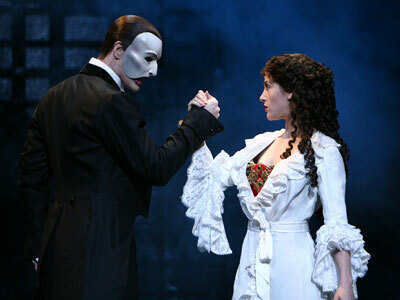 We will use The Phantom of the Opera to illustrate how personal complexes can influence ethical choices. The principle texts will be the Andrew Lloyd Weber musical theater version and later film adaptation. The course includes updates on standard of care such as informed consent, record keeping, duty to warn, mandated reporting, and long-term planning. Throughout the day, we will reflect on philosophical issues underlying ethical behavior. It is open to anyone interested in honoring their best qualities and values.